This plain-faced oddball set gathers together 28 vintage players that share one thing, an interesting moniker. Babe Ruth is here, ditto Spud Chandler and Hot Potato Hamlin. 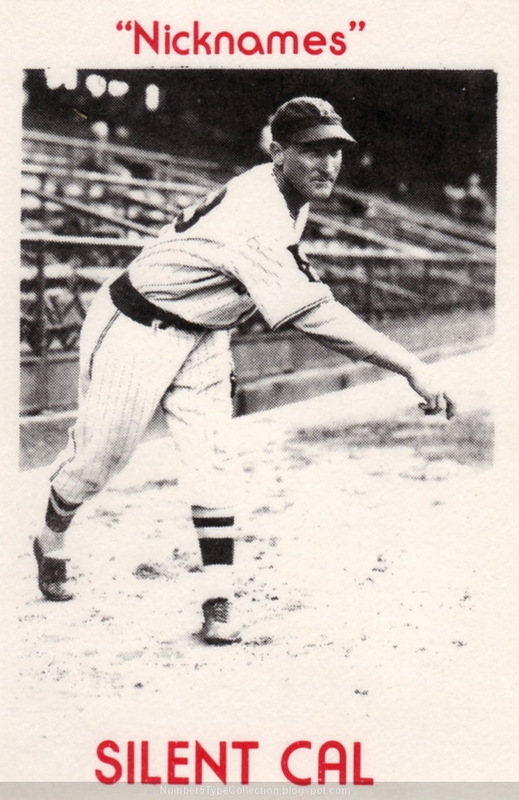 Silent Cal Benge didn't make a lasting impact on the game--12 seasons, 96 ERA+, no playoff appearances--but certainly fits this theme. Direct-to-collector card maker TCMA used these basic designs in the 70s to save money, since they didn't start with much. Keith Olbermann, who wrote and edited for them around that time, posted memories of those Halcyon days to his Baseball Nerd blog. 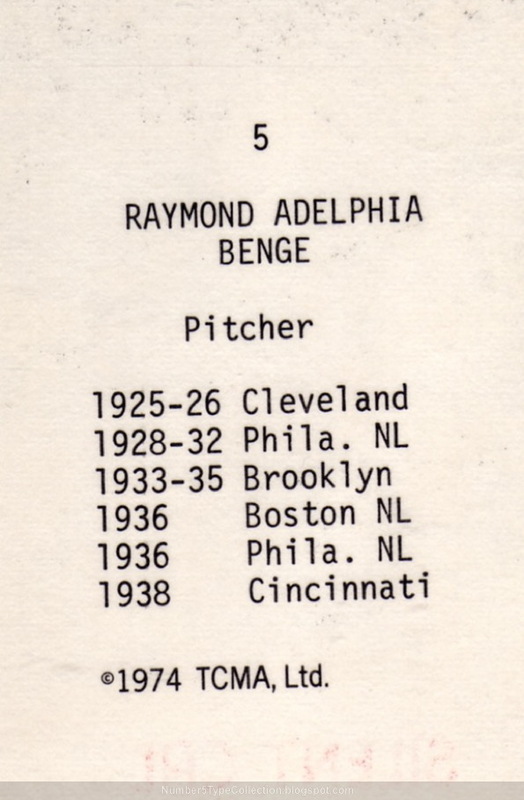 For all his silence, a modern parallel between unheralded Benge and ace Felix Hernandez stood out to me. Let's compare Cal's 1931 season in Philadelphia to King Felix's 2010. 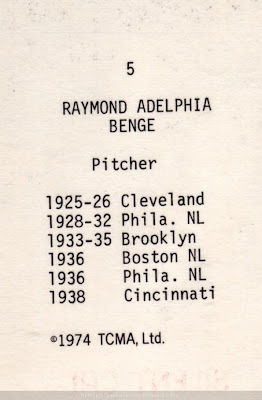 Value: Lesser-known players like Benge cost a few dollars. HOFers Ruth, Bob Feller, and Dizzy Dean run a few times that. Fakes / reprints: Haven't seen any in the market and it's unlikely anyone would try faking such a low-demand set.